“Orange” is part of a color study I did on each of the six colors of the rainbow. This collage contains felted wool, a celery print, a tempera painted paper background, pieces of copper including a penny, sewn paper and torn paper. 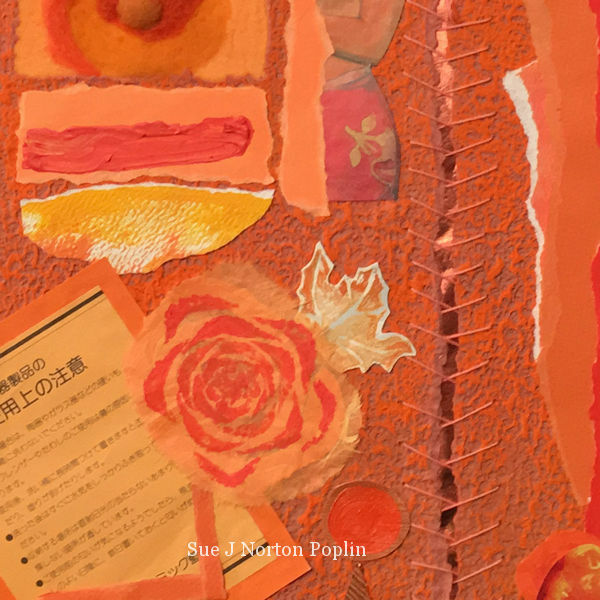 These works by Sue J Norton Poplin are licensed under a Creative Commons Attribution-NonCommercial-NoDerivatives 4.0 International License.